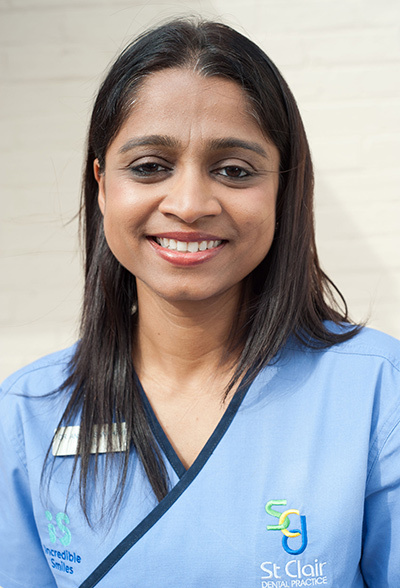 Steadfastly committed to ensuring that her patients achieve and maintain peak oral health, Dr Anisha also aims to help them feel entirely at ease in the dental chair. One of Dr Anisha’s greatest professional passions is delivering high-quality dental care to her patients and giving them healthy, attractive smiles. She also provides patients with information that allows them to make an educated decision about their dental care. Dr Anisha’s academic credentials include a Bachelor of Dental Surgery and a Master of Dental Surgery – Endodontics and Conservative Dentistry. She also took the Australian Dental Council Examinations. She was selected Best Outgoing Student in Endodontics and Conservative dentistry in 2007. Given that she has such a warm and friendly demeanor, it’s easy to see why she received that recognition! Dr Anisha also has been published in the International Endodontic Journal in 2009. To stay abreast of leading-edge dental trends, Dr Anisha has attended many continuing education dental courses. Dr Anisha is a member of the Australian Dental Association.